The 60th year of the Sports Journalists’ Association reflected our heritage and also our aspirations. On many fronts the SJA and its members showed that the Association is running well and we made an impact on many areas. 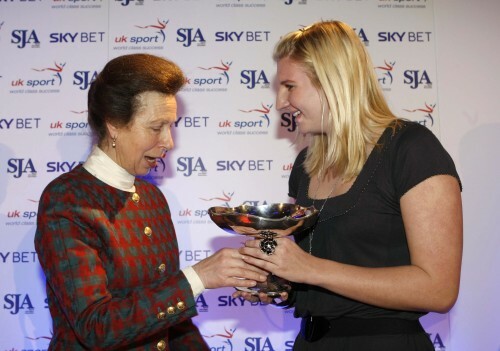 The 60-year landmark was celebrated with the awards lunch in November where the Princess Royal was a special guest and presented the sportswoman of the year award to Rebecca Adlington. Princess Anne met many SJA members, including a number of past chairmen. Despite the turbulent year experienced by the media across most platforms, there was a record entry for our journalist and photographic awards, up 10 per cent on the previous year. We must offer sincere thanks to our judges and the considerable effort they put in before reaching their decisions. It is truly a huge task. 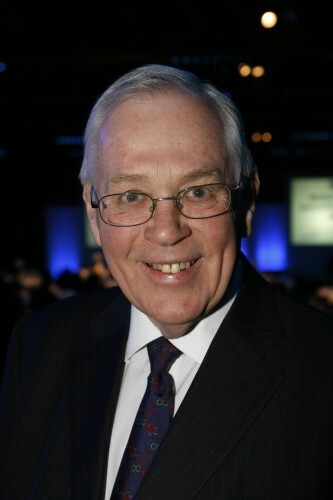 We must also thank Peter Wilson, chairman of the judging panels, for his industry, along with many others. Congratulations to Patrick Collins of the Mail on Sunday for winning the sportswriter of the year for a fifth time and to Edward Whitaker of the Racing Post for becoming Sports Photographer of the Year. The Guardian won team of the year for its coverage of the Beijing Olympic Games and our young sportswriter of the year title went to Emma John of Observer Sports Monthly, who revealed when she received the Ian Wooldridge Trophy that she used to have her bedroom walls covered with Wooldridge reports. Our awards were sponsored by UK Sport and newcomer Sky Bet – the first recipient of their Betting Writer of the Year was Steve Palmer of the Racing Post. Sky Bet also provided the 384 guests with a free £10 bet. I was also particularly pleased to present the Doug Gardner award for outstanding service to sports journalism and the SJA to Ian Cole, a powerful winner indeed. Both awards events were pulled together by David Welch and Sandra Phillips and their organisational sub-committee which deserves our deep thanks for their work. Our members and guests expect high standards from our events and they were not disappointed. On the operational front, we upped our website activity on www.sportsjournalists.com to such an extent that more than one sports editor has said to me that checking on the site is one of the essentials of the working day. Secretary Steven Downes pulls the whole operation together and deserves praise and thanks for the sustained excellence of the end product. In 2008, our members were in operation throughout the sporting world and for many of them the key moments were at the Beijing Olympics, with some 250 journalists and photographers from the UK in attendance. For a third Games I was the SJA Olympic Press Attache responsible for the day to day wellbeing of our accredited representatives. On top of that I “blogged” furiously in my spare minutes for the SJA website and in the latter part of the Games also wrote for the TeamGB.com website. I was helped enormously by Philip Barker, whose knowledge of Olympic history was vital, and Leo Mason, who was most helpful in looking after the interests of our photographers, especially for the closing ceremony. I would like to thank them both for their support. There is no question that the advance of the internet changed the methods of reporting the Games to an unprecedented level. The “no deadline” situation which goes with web activity meant staggeringly long hours for the men on the ground. Write, send, write again, send, and so it went on, with very few breaks. Beijing’s time zone meant you worked the Chinese day and started again on the European working day in the evening. At least at London 2012 we will be more in harmony with the time zone. London 2012 beckons strongly and since Beijing the SJA committee has already met with Seb Coe and his 2012 team and more visits are planned. Jayne Pearce, who will be head of Press Operations at 2012, sought the views of the GB media in Beijing as part of the planning process for London. Many of the SJA lunches in Fleet Street will have an Olympic theme as we move on. To the officers and members of the SJA, my sincere thanks for all the support and advice I have received. I look forward to moving on and building on our past achievements.